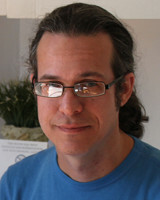 John Clay is an artist, writer, editor, and web designer. After formal training in anthropology at Notre Dame University and in music composition at New England Conservatory and Washington State University, he began pursuing visual art, philosophy, and political economy. Theory, design, application, and the common good are the constants among these pursuits. His art has shown at Chashama in New York City, Georgian Court University Library in New Jersey, Out of the Blue Studio in Cambridge, Massachusetts, LoLa Art Crawl in Minneapolis, Saint Paul Art Crawl in Saint Paul, Minnesota, Vasaloppet Art Show in Mora, Minnesota, and at cafes and open studios in New York City, Boston, Minneapolis, and Saint Paul. John is founder and webmaster of bhag.net and riverhousearts.net. He has worked as a policy director for Jobs Now Coalition in St. Paul, Minn. and as a labor market analyst, business analyst, and project manager for the State of Minnesota. He is co-owner of River House Arts LLC is a labor union member. His writing on democracy and the economy has been published nationally in Truthout and Science & Society, as well as in Workday Minnesota, Minnesota Employment Review, Minnesota 2020, St. Paul Villager, Duluth News Tribune, and Detroit Lakes Online. He was the featured speaker on union cooperatives at the Saarland Labor Chamber in Saarbrücken, Germany in 2014 and a speaker on economic democracy at the Völklinger Hütte European Center for Art and Industrial Culture in Völklingen, Germany in 2017. His interview with artist Chuck Close is published online at Artzar.com and here at bhag.net. John Clay ist ein Schriftsteller und Forscher auf Demokratie und Wirtschaft. Er wurde in Truthout, Science & Society, Minnesota Economic Trends, Minnesota Employment Review, Workday Minnesota, Saint Paul Villager und Duluth News Tribune veröffentlicht. Email john@riverhousearts.net. To provide feedback to the author, please contact john@riverhousearts.net.